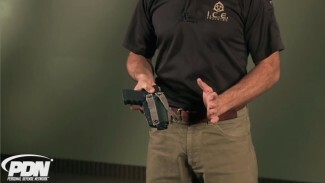 PRESENTING A HANDGUN FROM THE HOLSTER IS THE FIRST STEP IN MAKING A GOOD SHOT. HERE’S HOW. 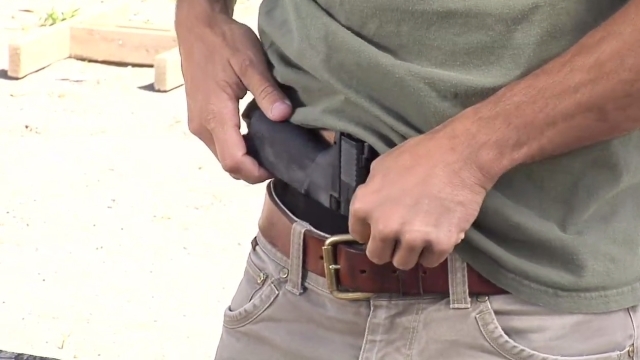 The topic of gun holsters is wide ranging, and PDN’s videos cover everything related to them. Our videos show the different types of gun holsters and how they work, whether for open or concealed carry, and include inside the waistband, outside the waistband, pocket, ankle and thigh holsters, and other methods of carry, such as purse holsters. We offer numerous reviews of specific holsters. 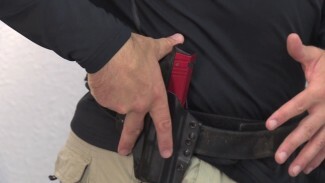 Equally important are the videos that show tactics with gun holsters: how to carry and present your handgun most efficiently from a holster.